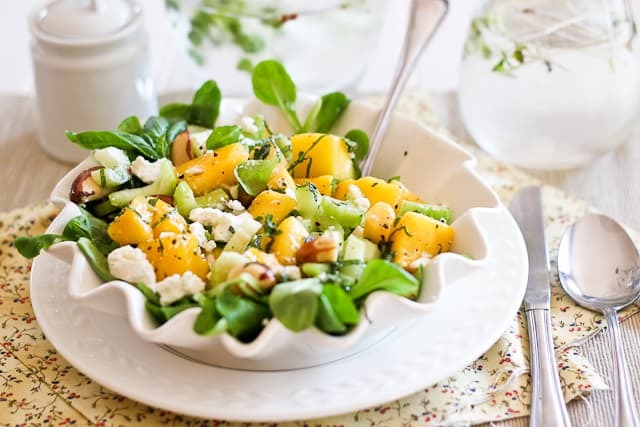 In a medium mixing bowl, add mango cubes, celery, Brazil nuts, basil, mint, vinegar, salt and pepper. Mix until ingredients are well distributed. Directly onto your serving plate, form a bed with the mâche. Place the mango / celery mixture on top of that bed. Sprinkle with crumbled goat cheese and serve immediately.